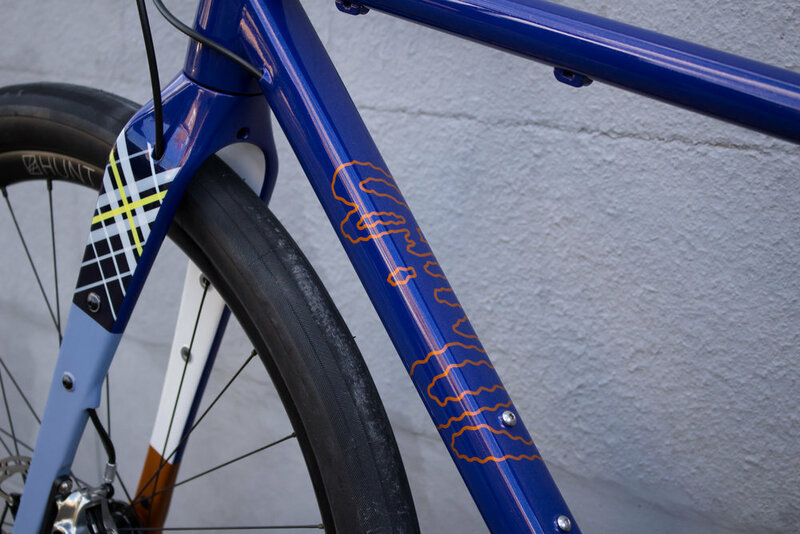 Lesley's Adventure Bike — Quirk Cycles | Custom Steel Bicycles Handmade in London by Framebuilder Rob Quirk. Lesley came to us last year keen to get an adventure bike that she could tackle gravel roads and trails with while bike packing and adventure racing across Europe. She had always struggled to find a frame that would fit her and her frame-packs, all the while running larger tyres. This is what led her to come to us. 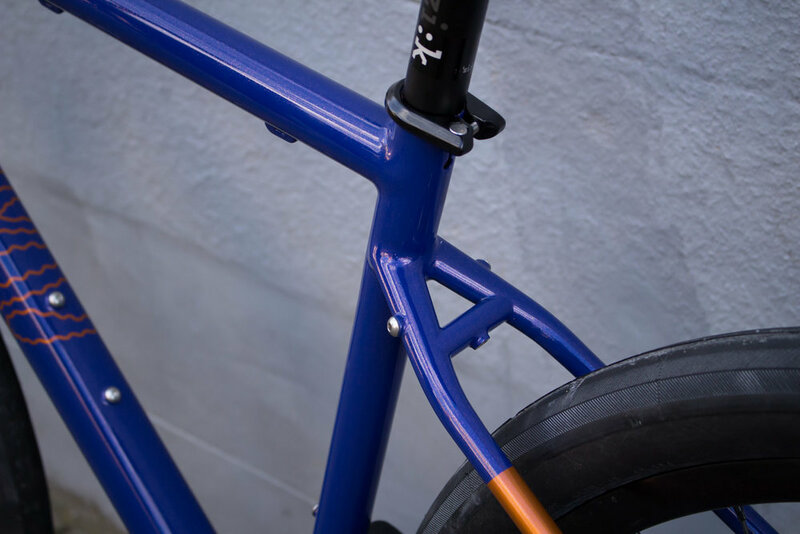 For here build we focussed on trying to create as much room in the front triangle for bottles and luggage all the while make sure we could clear the huge 50mm tyres. 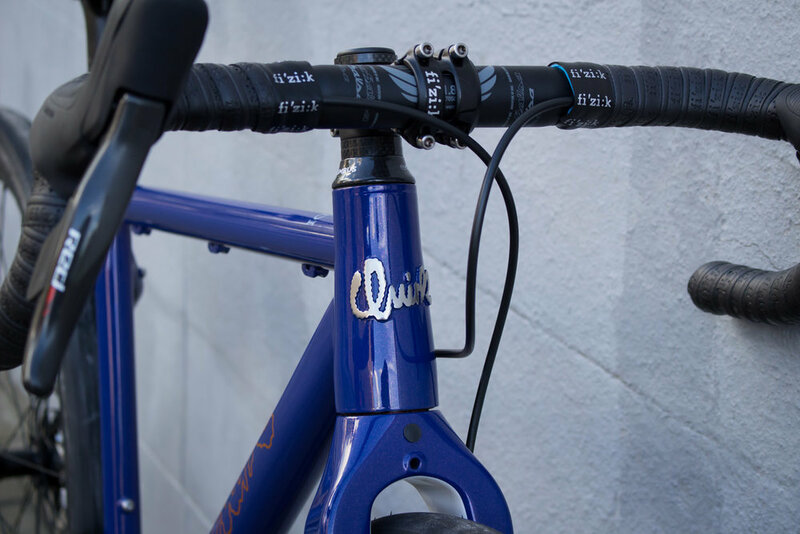 To achieve this we used a tapered headtube which gained us a few vital millimetres but also kept the top tube closer than we normally would to horizontal. Out back we experimented with MTB stays to get the clearance we wanted. 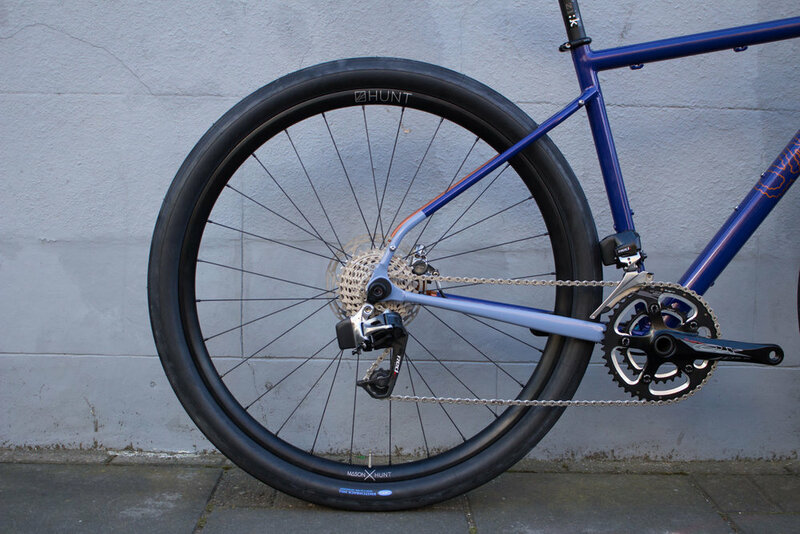 Super compact cranks made this task easier allowing more tyre to squeeze into the frame while maintaining our desired chain stay length of 435mm. Up front we specced the Rodeo Labs Spork fork. 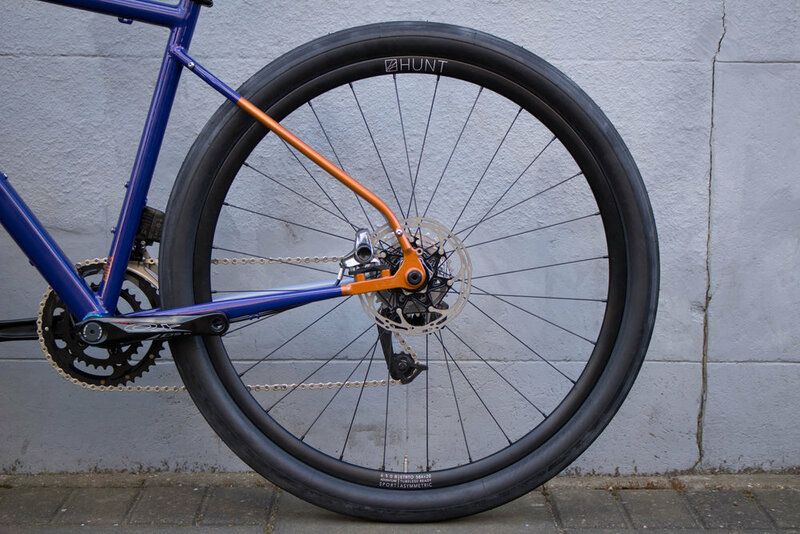 This fork ticks every box for bike packers including stealth dynamo routing, carry everything mounts, mudguard mounts and a dynamo fork-crown mount. 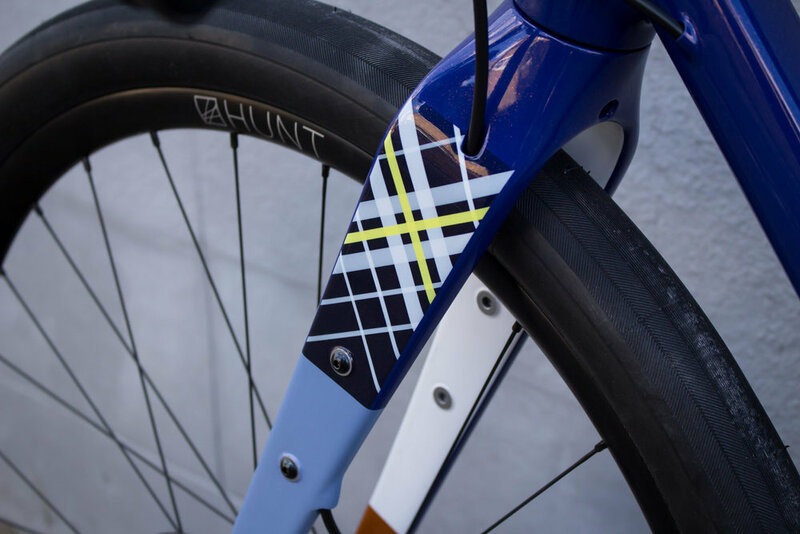 Paint was handled by Cole Coatings workshop as always who outdid themselves painting Lesley's family tartan on the fork blade. The detail is off the scale!